Today I’m going to reveal one little-known traffic strategy that I have discovered quite unexpectedly. To my surprise, this strategy was so effective that it not only helped me to drive 1,392 visits to my blog, but 238 of them became my email subscribers. Would you like to know how much it costed? Well… Absolutely nothing. It’s totally FREE! For those who don’t know, HARO is a resource that you can use to get PR for your business on influential media sites ranging from Huffington Post to CNN. HARO sends you queries from reporters and bloggers, who are looking for sources to share their expertise, top tips and case studies. Until now, most of us were using this service to get in front of reporters’ eyes and hope to get featured on those big publications they’re writing for. Don’t get me wrong – this is still a very effective strategy, that can help you drive thousands of visitors to your site. But what if I told you that you can get your site promoted in front of more than 800,000 marketing and PR professionals? And the funny part is that all this traffic came from HARO’s daily newsletter (and some other similar service providers, but I’ll talk about those a bit later) and it was 100% FREE! 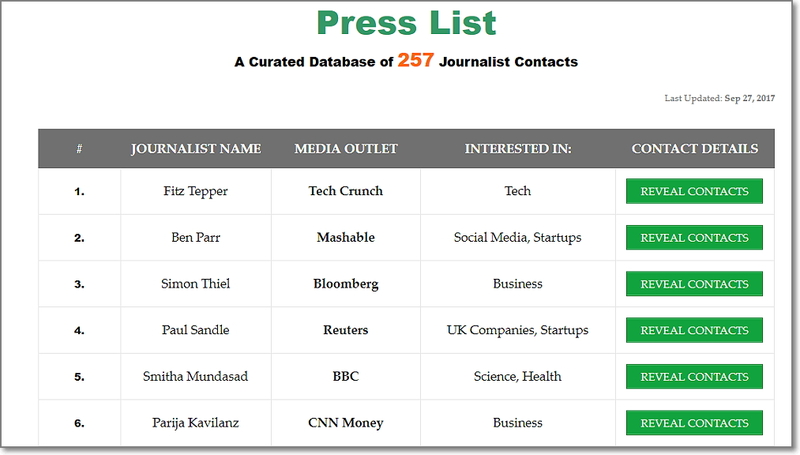 Press List is a curated database of 257 journalists where I share their contact details. I’d like to emphasize that all these contact details are publicly available so there’s nothing illegal. But since it’s a requires a lot of hard work to get all of them into one place it became very attractive to others. After I created this lead magnet, I started to think about the best way to promote it. 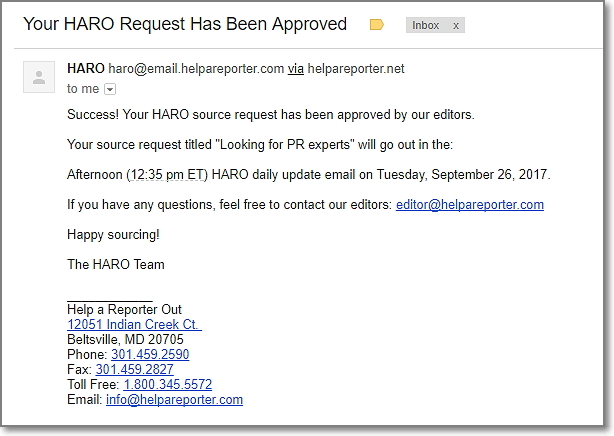 People who’re subscribed to HARO as sources are mostly PR and online marketing experts who’re looking to get in touch with real journalists. So, Press List would most likely be something that would help them to solve just that problem! Then I remembered, that sometime ago it was possible to buy sponsored links at the top of their daily newsletter. Since I already subscribe to their newsletter, I went to my inbox to analyze some of their most recent emails. I analyzed some more of their emails and found that this is not the only one with an internal live link. As you see, there are people who’re are submitting source requests together with links to their personal articles. That was something I definitely wanted to test on my own. And then… It went live! 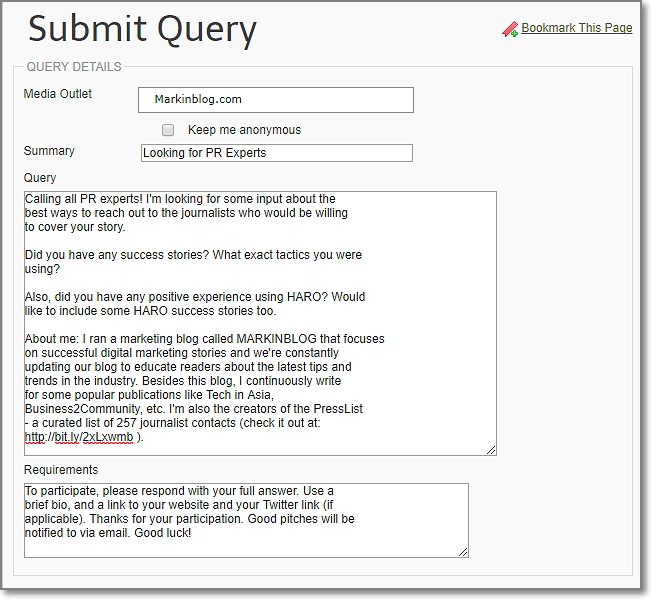 My request appeared in the next HARO email together with a clickable link. The very first email sent me 275 visits and 69 email subscribers. Not the biggest numbers considering that HARO says it has about 800,000 sources, but you should also consider the fact that you’re competing with about 20-100 other requests in one email. And there are not so many ways to stand out, except with your request title. But HEY! It’s still a free traffic that converts! After such success I decided that I need to go further. So, went to look for other similar services to try the same thing. Unfortunately, Response Source didn’t work for me at all, but all other sources proved to be worth the time investment. 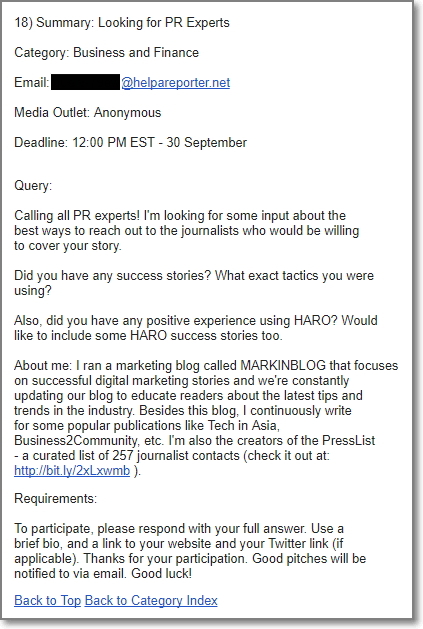 From my experience, with each email that is sent you can expect to get about 100-300 visitors from HARO, ~30-50 from Journo Requests and ~20-30 visitors from Source Bottle. 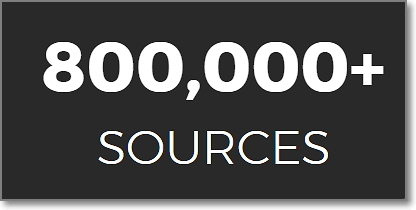 Your website must have an Alexa.com ranking of one million or less. I know, it’s a strange requirement and in my opinion it’s not accurate, but HARO is very strict on this. Your pitch request has to look professional. Make your links look relevant to the request you’re sending. 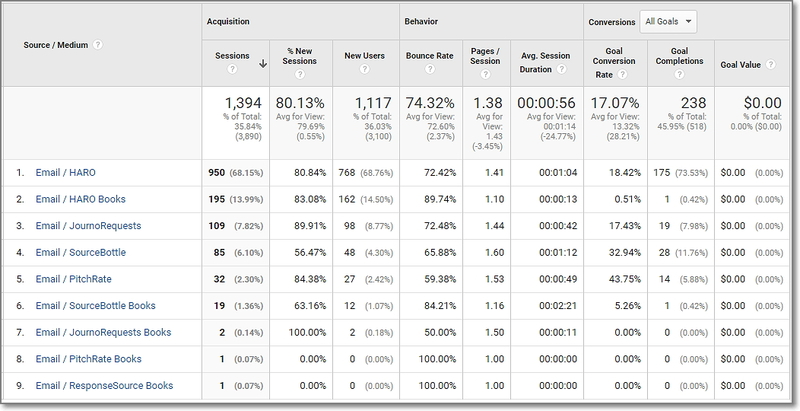 Use Google UTM campaign builder + bit.ly. This way you’ll be able to track traffic and conversions each newsletter sends your way. 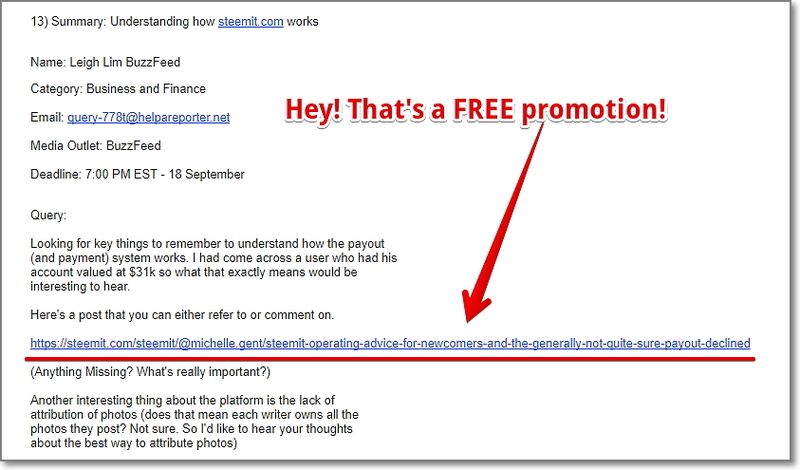 Don’t spam – otherwise this opportunity will get closed very soon. Let me know in the comments below how it worked for you and what results you achieved. If you’re looking for more web promotion opportunities, I suggest you to check out my recently updated Growth Pack.